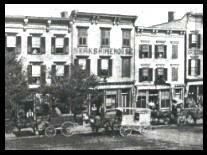 In the beginning, there was a trickle of travelers into the Tarrytown area, mostly from the melting pot that was New York City in the late 1880s. They were among the Orthodox Jews escaping from the hubbub of the big cities, seeking a haven on earth from the whirlwinds of change that marked the twilight of the 19th century. As time went by, these Orthodox settlers formed the nucleus of what was to become the Hebrew Congregation of Tarrytown and North Tarrytown, and finally, what we now know as Temple Beth Abraham. In those early years, religious services were held in the houses of various members. Then, Hyman Levy, son of Abraham Levy who was reportedly the first Jew to settle in Tarrytown, provided a room over his Dry Good Store to serve as “shul.” This arrangement continued until space became inadequate. In 1905, the congregation built the first Orthodox shul on Valley Street in North Tarrytown (now Sleepy Hollow). The architecture of the “shul” was a replica of an old Lithuanian synagogue, since most settlers came from Kovno, near Kiev. The interior featured a beautiful hand-carved ark, which stands today in our Conservative Chapel. In the center of the room was a circular bima and ark. In back of the bima were pews for the men. The aisles were covered with red carpeting. The ladies sat upstairs in long rectangular balconies. 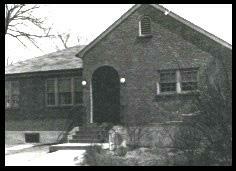 By the 1930s, the congregation, needed a place for the Jewish community to hold social events. In 1933, property on North Washington Street in Tarrytown was purchased and thanks to the money raised by the Ladies Auxiliary, the Jewish Center was built, complete with a kosher kitchen. As the Valley Street shul became too crowded, the Jewish Center was used for religious services as well. But there was no balcony for separate seating. Thus, the Orthodox continued to pray at the Valley Street shul and the Jewish Center followed the Conservative tradition. By 1945, our congregation had become primarily Conservative, with a vestige of Orthodox members and many of the Reform tradition. The need for a larger building was evident but there was a dilemma: to maintain the Conservative tradition or to change to the Reform tradition. A special committee appointed to resolve this problem decided upon a unique compromise: there would be two chapels under one roof. The Leroy Avenue property was purchased in 1949, the first service was held in 1955 and the new building was named Temple Beth Abraham in January 1956.